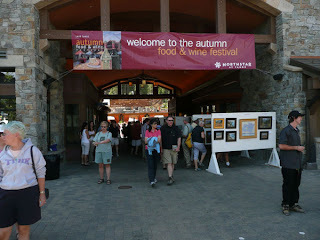 I traveled to lake Tahoe last week not quite knowing what to expect for North Tahoe Plein Air 2009 , an event organized by Lois Skaff and the North Tahoe Art Center. The ten hour drive from L.A. was pretty intense but the landscapes that greeted me were worth it. It is no wonder this area has become a popular tourist destination, some would argue too popular. It is simply gorgeous with its turquoise lakes, dramatic light shifts and layers of forest. 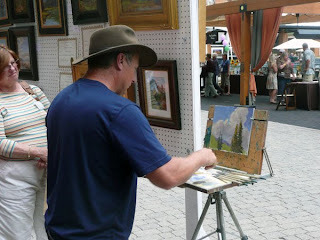 We had three days to paint and even though I spent a substantial amount of time exploring and hiking, I managed to come up with enough paintings for the festival (7). Most importantly, I made some new friends and met some great artists. I sold four paintings total. 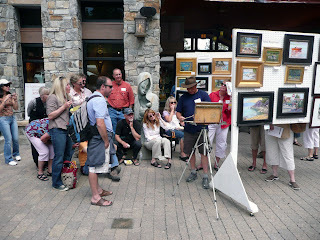 Celia Howe of Backstreet Gallery in Truckee even asked me to keep some of the pieces in consignment. 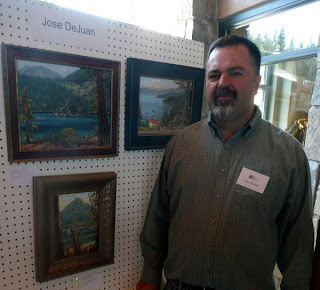 Celia and business partner Peggy have a wonderful gallery and framing store in Truckee. Jose... Looks like you had a very successful paint out event. 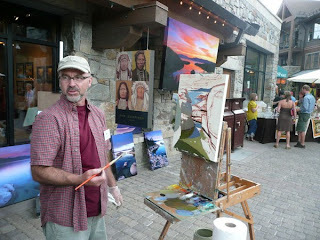 Some paintings from North Tahoe.